Ammoye wins new fans at the Serani Show! Reggae-Soul songstress Ammoye won over new fans as she delivered a soul filled performance of Lovers Rock before featured artist Serani took the stage. Singing her hit singles “Lost Love” “Special Delivery” and “Shooting,” Ammoye delivered! Backed by the Fusion Band, and back up singers Natasha and Monique, Ammoye presented her music with a universal message appreciated by all. Ammoye also performed her newest single "Wanna Get With Your Body" featuring Najjah, much to the excitement of the crowd! Next for Ammoye will be the release of the People’s Cry Riddim, produced by Chiney K Productions and featuring the vocals of Anthony B, Sizzla and Konshens, the Irie Music Festival in Toronto with Gramps Morgan (August 2nd ), and an appearance at the Spread The Love Concert in Detroit with Anothony Cruz on August 8th. 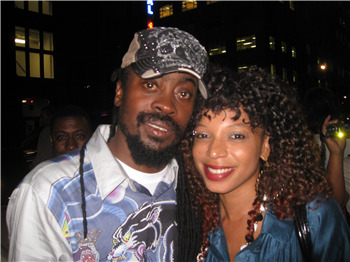 Since his arrival in Toronto, Beenie Man, King of the Dancehall, has engaged fans with his appearances, signed autographs and visited with friends and family in the City. Having now completed his sound check, the King prepares to give Oshawa fans a new entertainment experience with his high energy set. "Mih caan wait fih perform fih mih fans dem," said Beenie "bare vibes tonight in Oshawa!" Also on the bill to open for the King are Ammoye, whose brand of lovers rock continues to gain her new fans, as well as Shalli who is preparing to shoot a video for her debut single. Beenie will be backed by the just returned Red Flame Sound featuring Lindo P and Oshawa's #1 selector Suppa Natty. 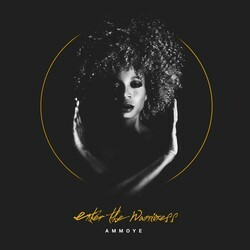 Blessed with an undeniably beautiful voice, Reggae soulstress Ammoye takes fans on a performance ride over the next few weeks the highlight of the ride is opening for Beres Hammond in Oshawa, Ontario. Taking the stage in a yellow slim fit blouse, Ammoye brought rays of sunshine to the audience as she delivered a strong 30 minute set. Choosing Diana Ross’s song “Coming Out” for her theme entrance, Ammoye was introduced by management mate Najjah who hyped the crowd, making sure they knew Ammoye’s name before the songstress took the stage. Beginning her set with her hit single “Lost Love,” Ammoye had the crowd singing the chorus, and photographers rushing the stage for photos. Ammoye continued with her song on the Alton Rock riddim, “Still In Love” which was produced by Fireball Records as a tribute to the late Alton Ellis. “To be at the festival feels irie and Blessed,” said Ammoye after her performance, and hearing the loud cheers from the fans. “This girl has a voice,” said Winston, a fan of the festival. “Mih hear her pon radio, but live even betta!” Gramps Morgan was disappointed that arrived late, and missed Ammoyes set, but vowed to catch her next performance. The Juno Awards are returning to Ottawa in 2017 as part of the national capital's celebration of Canada's 150th birthday. Mayor Jim Watson made the widely-anticipated announcement today at the Mercury Lounge in the ByWard Market with performances by Ottawa's Rise Ashen and Toronto-based Ammoye, both previous Juno nominees. Performers from across the country will fill local clubs and larger venues with the sounds of every kind of music. Landing the Junos in 2017 — the year when Canada marks the 150th anniversary of Confederation — has been a key part of Watson's plan. The mayor is hoping to score a hat-trick that year by securing three marquee events: the CFL Grey Cup championship, the NHL Winter Classic and the Junos. Neither the CFL nor the NHL have announced a host city for 2017 festivities yet. Ottawa last hosted the Junos in 2012 when Feist won artist of the year and Justin Bieber took home the fan choice award. The televised awards show, hosted by William Shatner, drew about 12,000 people to the Canadian Tire Centre. There was also a gala dinner at the Shaw Centre and live shows at numerous downtown night clubs, including Mercury Lounge. Juno Week 2016, to be held in Calgary, is scheduled for March 28 to April 3. 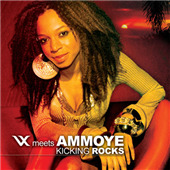 Ammoye sings of love, life and justice - a lightworker and a soul rebel. talent including legends Sly & Robbie, Songwriter Mikey Bennett and Germaine Donovan of Penthouse Records. We have to now shine our lights. Reggae Music to the World. I know we would be fine. maybe, he'll start missing ma ma ma ma! Lova love Lova Love love. Ma love. I wouldn't be cold. All alone, so cold! I went chased you, out my door. Now that you gone away boy, A been losing ma mind ohhhhh.